Well, it looks like we did it again! Our beers are not only making people smile, but they’re making headlines across the nation. This year was a very busy year for our brewers as they worked diligently to not only maintain our award-winning beer styles, but also to create new concoctions. And fortunately, it worked. 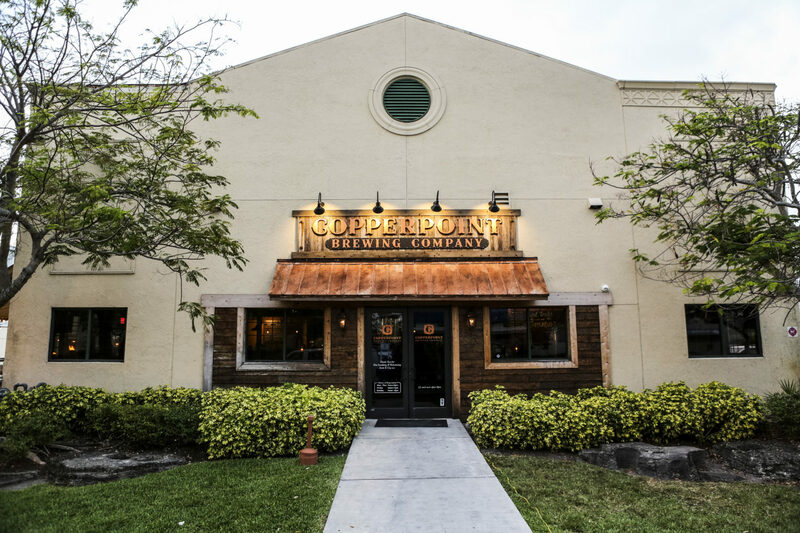 Copperpoint Brewing Company scored six medals this past year, and there’s no sign of slowing down (unless it’s to sip and savor). 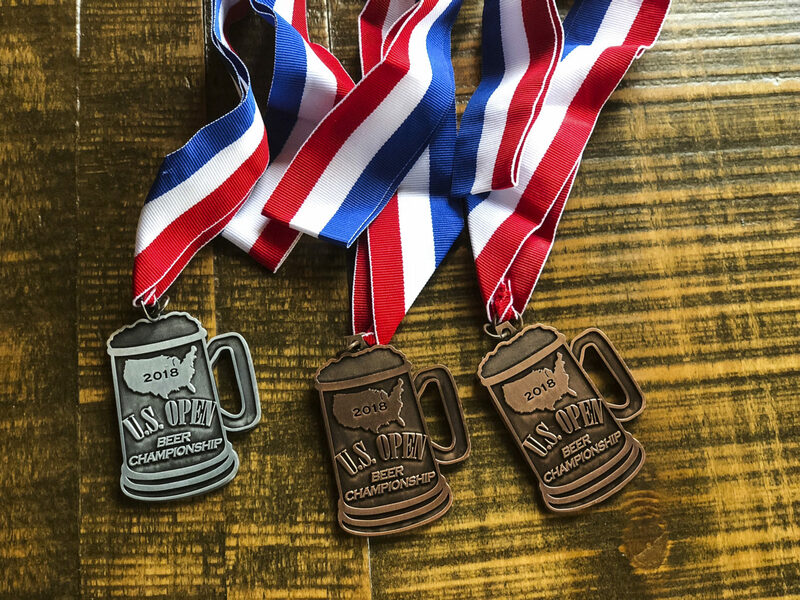 With the eye on the prize, the team tackled the 2018 U.S. Open Beer Championship in late June and brought home three medals and bragging rights. Held in Oxford, Ohio, the Championship features 6,300 beers representing more than 100 different styles of beer from breweries from South Carolina to South Korea. The competition is the only one to include beers from professional breweries and award-winning home-brewers, with judges from England, Canada and the Unites States. In the American Amber/Red category, Copperpoint won a silver medal for the A-10 Hop-Hog, which is an intense and complex red IPA with 7 percent ABV. We were also able to secure two bronze medals with the WTF (Where’s the Filter) in the New England/Juicy IPA category, and the Cold Brew Coffee Lager in the Coffee Beer category. Clearly, since three medals aren’t enough, our brewmasters went on to The Great American Beer Festival. Held September 17 through 22 in Denver, Colorado, the Festival featured 4,000 beers. 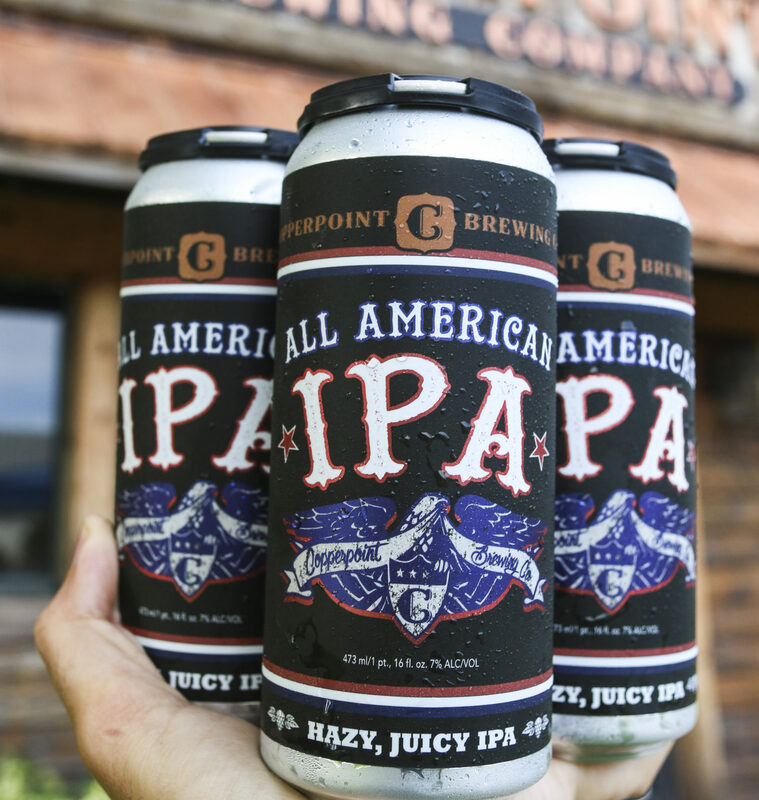 The GABF awards gold, silver and bronze medals for excellence in 102 beer-style categories, and out of 8,496 beers in the competition, Copperpoint was able to snag a gold. The Coco for Coxness, which is an imperial stout chocolate beer, won the gold medal in the chocolate beer category, and packs serious flavor with 9.5 percent ABV. Since cheers-ing is what we do best, we couldn’t help but snag two more medals at the 24th Annual United States Beer Tasting Championship. Held in Chester, NH this September, 403 beers from 130 breweries were examined (aka tasted) across 16 different beer categories, and judges selected a Grand Champion and the best entry from each of seven U.S. regions. The USBTC recognizes that American brewers are continually establishing new beer styles and reviving interest in classic styles. As one way to acknowledge this, the USBTC devotes “pull-out” categories in each competition to styles that are currently emerging or being faithfully carried on. In this most recent event, “Imperial Hazy IPA” and “Hazy IPA” were selected as the USBTC pull-out categories, and Copperpoint won the Grand Champion for the All American IPA in the Hazy IPA category, as well as the Grand Champion for the A-10 Hop Hog in the Amber/Red Ale category. So that adds up to one gold, one silver, two bronze, and two Grand Championships, all in one delicious, frothy year. Three hoppy, chocolaty, and amber cheers to the brewmasters, and here’s to more award-winning beers!